Manchester United are set to clash with Manchester City in a much awaited derby in the Premier League as teams scamper for the remaining points before the season closes. United have struggled with matching expectations under Jose Mourinho but the Portuguese manager opines that better years lie ahead. The Red Devils won the EFL Cup weeks back and they have qualified for the last four as they remain in the race for a Europa League title. They are pushing for a top four finish despite the odds, yet many would say they had an underwhelming season, particularly based on the feels when the season started. United are set to play Pep Guardiola’s men on Thursday and a victory could see them move into the top fourspot. 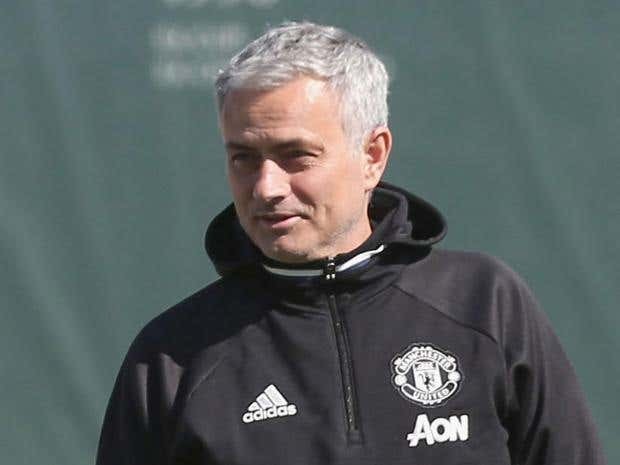 Mourinho has tried to take the pressure off him and the team by saying he does not care much about titles at this stage. The former Chelsea, Inter Milan and Real Madrid coach said his focus is on building a strong side. “It can be the first season of better years. And the reality is even in the first season of better years we won already and we have already the chance to do good things until the end of the season. If we manage to win the Europa League and in August to play My Cesc Fabregas the European Super Cup against the Champions League winner, it will be magnificent,” he argued. Mourinho referenced the situation while at Real Madrid where the giants had failed to win any title for three years prior to his arrival. He admitted that there was “pressure” and “Expectation” like he faced in Spain. He claimed the situations in Chelsea, Porto and Milan were different. Mourinho ended up winning the Copa del Rey in his first year and the La Liga title the subsequent year. However, he did not win any other as Barcelona dominated the local league and the Madrid team stagnated in Europe.